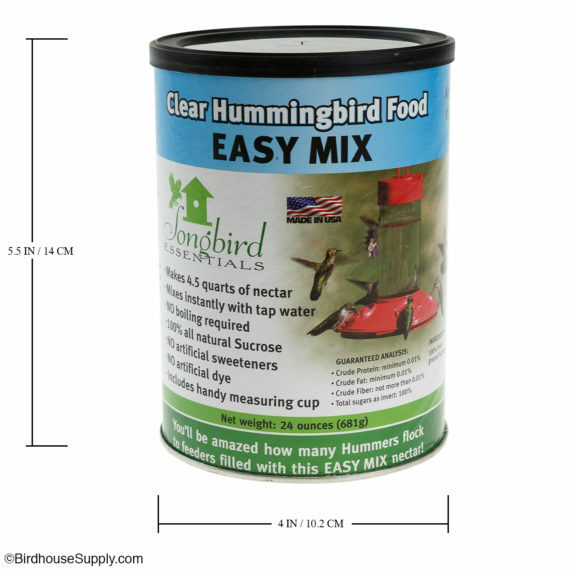 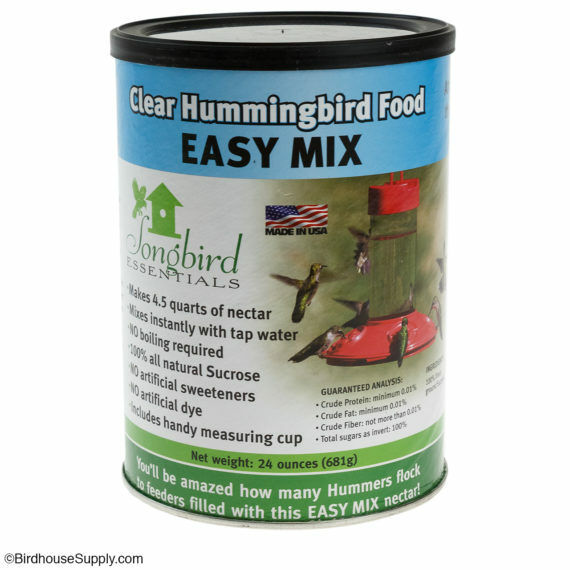 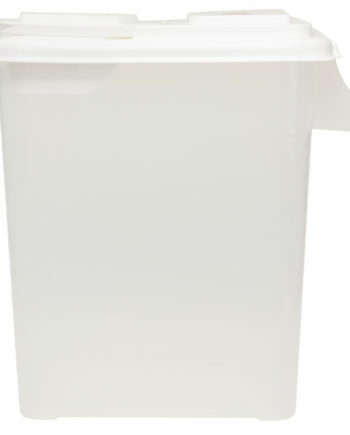 This 24-ounce container of clear hummingbird nectar powder can be mixed with water to create up to 4 ½ quarts of liquid nectar. 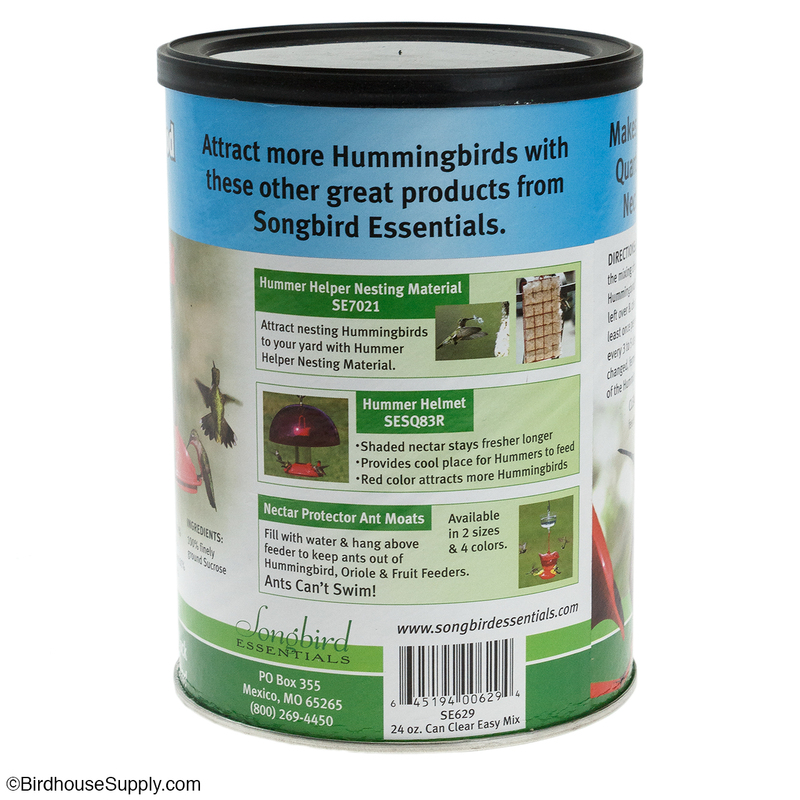 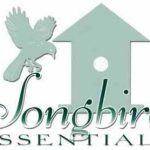 Made from 100% natural sucrose with no artificial dyes or sweeteners, Songbird Essentials Clear Hummingbird Nectar is absolutely irresistible to hummingbirds. 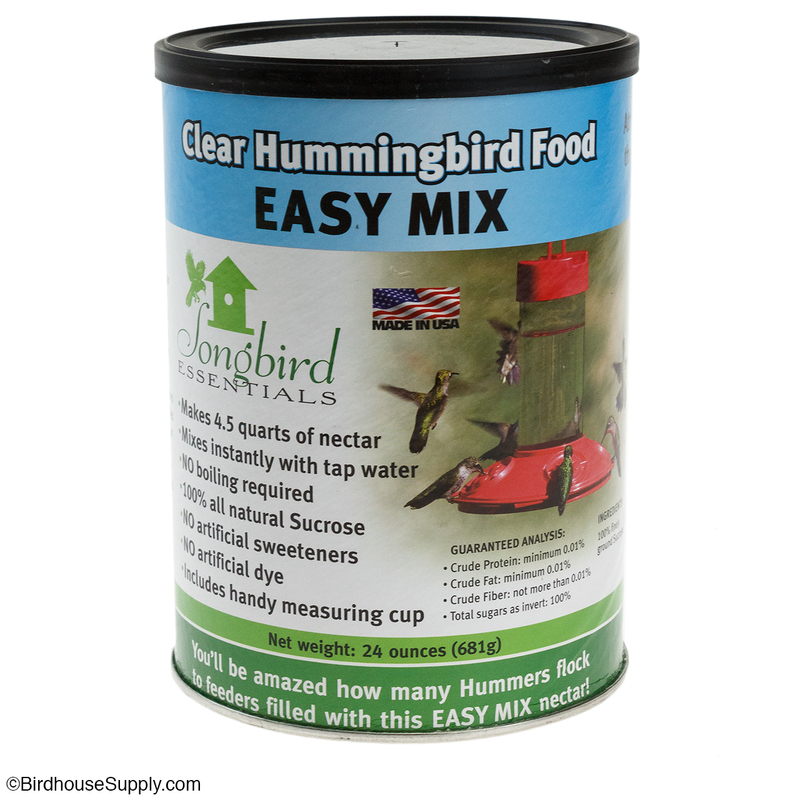 Paired with any Songbird Essentials hummingbird feeder, this nectar is guaranteed to turn your yard or garden in a hummingbird haven. This nectar powder can be mixed with cold or warm water, no boiling needed, and it mixes instantly, which saves you time and hassle.